Bis tv on hot bird 13 There are 16 products. Bis tv on hot bird 13, bis TV, panorama, basic, cinema, sport, sport bein. 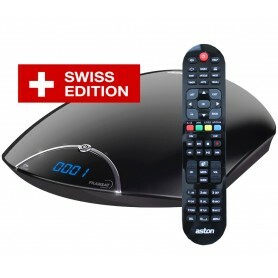 Subscription, renewal Bis TV on Hot bird 13 Bis tv on hot bird 13, televisions, bis TV, panorama, basic, cinema, sport, sport bein Bis TV is a satellite package on Hot-bird, which offers basic DTT channels and a selection of the best channels French it includes 36 channels and allows to receive one additional 450 other international channels broadcast free of charge on the Hot bird satellite and Astra.Bis TV has enriched its bouquet with Qatari of Al Jazeera channels in France (be IN Sport1, be In Sport 2) optional offering the best sporting events with a rich football program, and the dissemination of mythical matches.Indeed, Bis TV is the only operator that offers the option be IN sport on 2 satellites (Hot bird and Atlantic Bird 3) .in options then in order to choose the subscription, you will find various offers at your disposal: Bis TV panorama and a multitude of options such as the Bis TV option cinésport option Bis TV night, Bis TV be sport IN 1 and 2 cards. Receptions of bis Télévisions is done on the satellite Hot-bird the same satellite that Swiss to get chains need a DVB - S2, HDTV, Dolby decoder +, Secure card, or a Neotion secure card module, lists channels Bis tv, TF1, France 2, France 3, France 4, France 5, France Ô, Arte, M6, W9, D8, D17, TMC, NT1, Gulli, BFM TV, AB1, stopovers, RTL9, Mangas, AB engine, NRJ 12, throughout history, TV8 Mont Blanc, hunting and fishing, TV5 Monde, France 24, LCP Public Sénat, Equidia Live, Lucky Jack *, Encyclopedia, animals, Equidia, Stylia, Game One, Teva + Cine FX, Cine Polar, Action, Golf Channel *, Dorcel TV, XXL TF1 HD, France 2 HD, M6 HD, Arte HD, 6ter *, team HD *, RMC Discovery HD *, Cherie HD *.HD1 *. 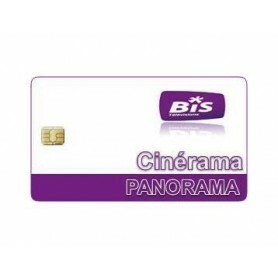 Card BIS TV PANORAMA + Cinema + Night Hot Bird 13 Map AB-BIS HDTV 1 renewable automatically from year to year. 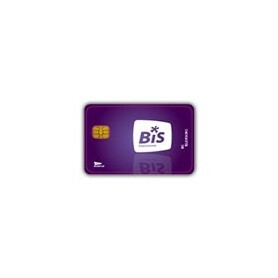 Renewal card BIS TV PANORAMA + Cinema + Night 13 Hot-Bird Renewal card AB-BIS HDTV 1 renewable automatically from year to year. 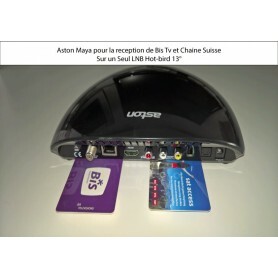 Renewal card BIS TV PANORAMA + Cinema Atlantic-bird Renewal card AB-BIS HDTV 1 renewable automatically from year to year.